Manhattan District Attorney Cyrus R. Vance, Jr., today announced the conviction of TAYLONN MURPHY, 20, for the fatal shooting of Walter Sumter and his role in a violent gang turf war in West Harlem. MURPHY was convicted by a New York State Supreme Court jury of the top counts in the indictments against him, Murder in the Second Degree and Conspiracy in the First Degree, as well as Assault in the First Degree, Robbery in the Second Degree, and other related crimes. He is expected to be sentenced on June 24, 2016. To date, the prosecution of 103 members of three violent street gangs – 3 STACCS and their rivals, MAKE IT HAPPEN BOYS and MONEY AVENUE – has resulted in 95 guilty pleas and four trial convictions. 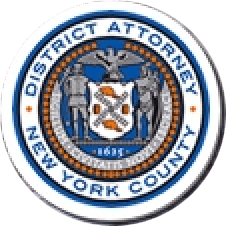 The indictments followed a long-term investigation by the Manhattan District Attorney’s Office’s Violent Criminal Enterprises Unit and the NYPD’s Gang Division. “The death of a teenager at the hands of another teenager is a tragedy that reverberates across an entire community,” said District Attorney Vance. “The murder of Walter Sumter was far from an isolated incident. Young residents of the Manhattanville and Grant Houses were locked in a downward spiral of retaliatory shootings, resulting in the death and injury of scores of young men of color – a senseless, bloody turf war. We took seriously both the toll of violence this feud wrought on West Harlem, and the impact our charging decisions would have on the lives of these defendants. As proven at trial, MURPHY, as a member of the street gang 3 STACCS, sought to assert control over areas of West Harlem by engaging in acts of retaliatory gun violence and physical assaults, as well as other threats of violence, including shootings, stabbings, slashings, assaults, gang assaults, robberies, and firearms possession. MURPHY was convicted of fatally shooting 18-year-old Walter Sumter on December 30, 2011, near the corner of West 154th Street and Amsterdam Avenue. MURPHY was also convicted of robbing a young male Manhattanville resident who was not associated with gang activity on July 5, 2013. As detailed in the indictments, the defendants used hundreds of Facebook posts and direct messages, cell phone videos, and calls made from Rikers Correctional Facility to plot the deaths of rival gang members. The defendants also used social media to publicize and claim credit for acts of violence, as well as to publicly disrespect and denigrate rival gang members. Additionally, gang members in their late teens and early twenties conspired to identify and cultivate dozens of young recruits between the ages of 10- and 14-years-old, in part by promising social and economic benefits and encouraging these pre-teen gang recruits to become new members and participate in acts of gun violence and physical violence against rivals. The young recruits would also carry out instructions from older members related to the commission of shootings, stabbings, slashings, beatings, and transporting illegal firearms. According to documents filed in court and statements made on the record in court, the 36 members of 3 STACCS charged in the indictment had residential, family, or social ties to the General Grant Houses (“Grant Houses”), a New York City Housing Authority (NYCHA) complex located between Broadway and Morningside Avenue, and West 123rd to West 125th Streets in Manhattan. They conspired and attempted to kill members of MAKE IT HAPPEN BOYS and MONEY AVENUE, rival street gangs in West Harlem, in order to protect their territory and avenge acts against 3 STACCS, including avenging the murder of Tayshana “Chicken” Murphy, who was shot to death in a stairwell of the Grant Houses on September 11, 2011. Two members of the Make It Happen Boys – Robert Cartagena and Tyshawn Brockington – were previously convicted in separate trials of Murder in the Second Degree. Each was sentenced to 25-years-to-life in state prison. According to the indictment, the MAKE IT HAPPEN BOYS, a/k/a “The Ville,” a/k/a “Only the Ville,” operated near NYCHA’s Manhattanville Houses, between Broadway and Amsterdam Avenue, from West 126th to West 133rd Streets in Manhattan. The 40 charged members of the MAKE IT HAPPEN BOYS allied together with 27 charged members of MONEY AVENUE – formerly known as the “Block Boyz” – who had residential, family, or social ties to the area between Morningside and Manhattan Avenues, from West 115th Street to West 120th Streets. Together, they sought to assert control over this area in order to protect their territory and avenge acts against their gangs, including the murder of Walter Sumter on December 30, 2011. Assistant District Attorneys Andrew Warshawer and Jon Veiga, Deputy Chief of the Violent Criminal Enterprises Unit, are prosecuting these cases under the supervision of Assistant District Attorney Christopher Ryan, Chief of the Violent Criminal Enterprises Unit, and Executive Assistant District Attorney John Irwin, Chief of the Trial Division. The Violent Criminal Enterprises Unit’s analysts provided assistance with the case. District Attorney Vance thanked Police Commissioner Bratton and members of the NYPD’s Gang Division, Intelligence Division, Community Affairs Bureau, 26th Precinct, and PSA6. District Attorney Vance particularly thanked Chief Kevin Catalina, Captain Brian Sayre, Lieutenant Stephen Phelan, and Detectives Fernando Espindola, Julio LaSalle, and Ryan Foy of the Gang Division; Lt. Christopher Lundberg of the Real Time Crime Center and Police Office Joseph Murphy; Sergeants Alexander Nivar and Hector Nolasco and Police Office Michael Cousin-Hayes of the Intelligence Division; and 26th Precinct Deputy Inspector Steven Griffith and PSA6 Deputy Inspector Luis A. Despaigne. District Attorney Vance also thanked the NYC Department of Correction’s Gang Intelligence Division for its assistance.